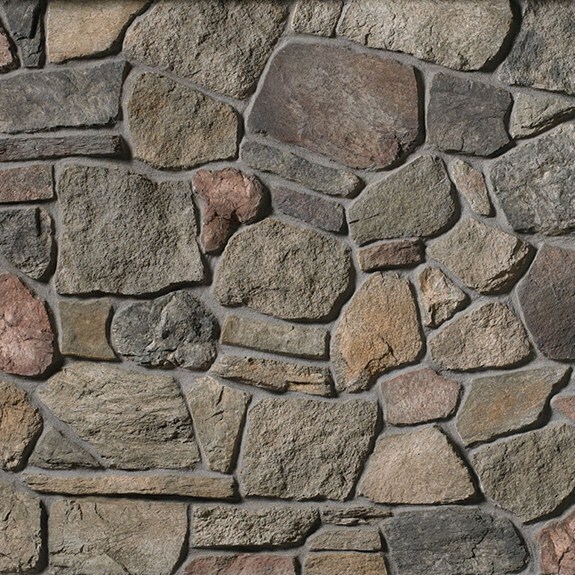 Old Country Fieldstone brings country charm to the 21st century with a wide variety of looks. Use a wide, overgrouted joint to deliver a random Tuscan look or a sturdy rural appeal. A tight-fitted horizontal emphasis provides a more formal look.